Our speciality is high-quality, modern, professional excavation. What this means for our clients is trouble-free archaeological mitigation projects brought in on time and on budget. Our pro-active approach to project management coupled with flexible and responsive site work means peace of mind for our clients. We are committed to investment in technology and staff training to ensure our service remains efficient and competitive. We have worked on diverse archaeological sites including multi-period sites on high-value urban land to large-scale prehistoric landscapes in rural situations. 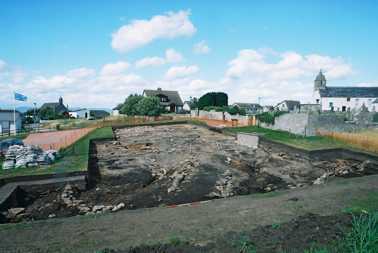 Recent projects include the urban excavation of a basement level in a standing building in York and excavation of a medieval castle in the Highlands of Scotland.